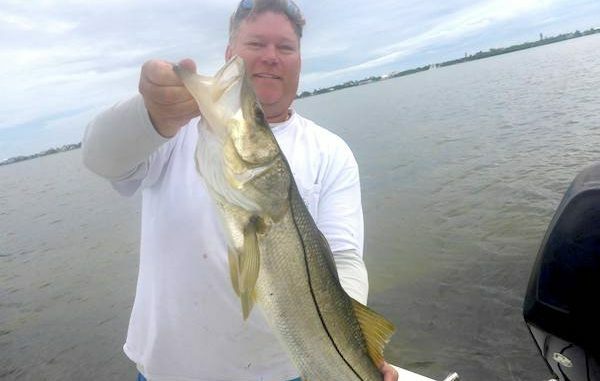 Pictured here is Jason Ogilvie with a snook in Sebastian, Florida. SEBASTIAN – Snook season in Florida is slated to reopen for recreational harvest in the Atlantic and inland state waters on Feb. 1, 2019, according to Florida Fish and Wildlife Conservation Commission (FWC). Snook are one of the many reasons Florida is the Fishing Capital of the World. The FWC encourages anglers to carefully handle and release snook that are not going to be kept, which can help ensure their survival upon release. In the Atlantic, anglers may keep one snook per day that is not less than 28 or more than 32 inches total length, measured from the most forward point of the head with the mouth closed to the farthest tip of the tail with the tail compressed or squeezed while the fish is lying on its side. A snook permit is required to keep snook, along with a saltwater fishing license, unless the angler is exempt from the license requirements. Only hook-and-line gear is allowed when targeting or harvesting snook.